2018 sees a new True Music partnership emerge from the streets of Spain and Argentina. 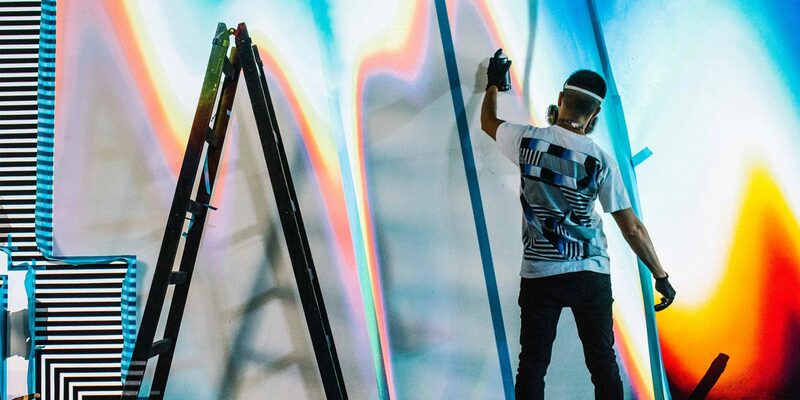 Introducing our latest collaboration with renowned kinetic artist and music creative, Felipe Pantone. His face remains a mystery, but his work speaks volumes. 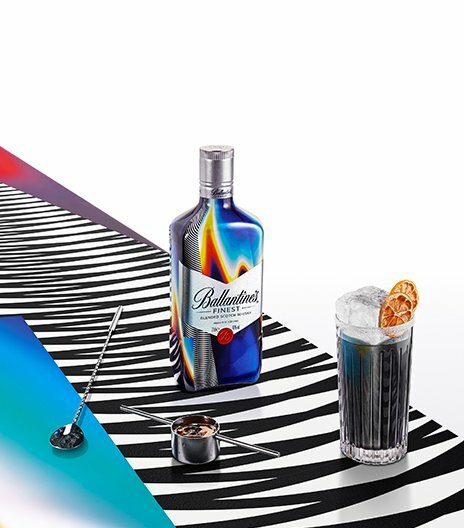 Here, Pantone combines music and art with three limited-edition designs for Ballantine’s Finest and Ballantine’s 12 Year Old, drawing inspiration from his street art roots and radical soundwave patterns. Moved by the Latin phrase, Motu Proprio, Pantone would find his spot and paint whatever came into his head. Often jumping from city to city, the artists’ nomadic upbringing created connections to people rather than places – which is perhaps why his work continues to transcend language barriers. 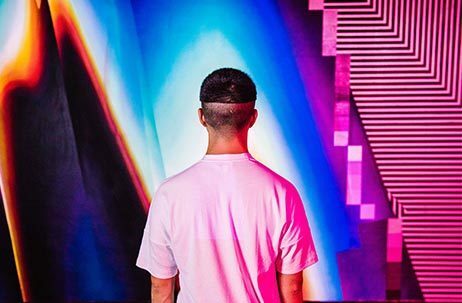 To date, his art has adorned iconic music spaces including Ushuaia Ibiza Beach Hotel and featured in music videos for Anderson Paak and an album cover for Julian Casablancas. 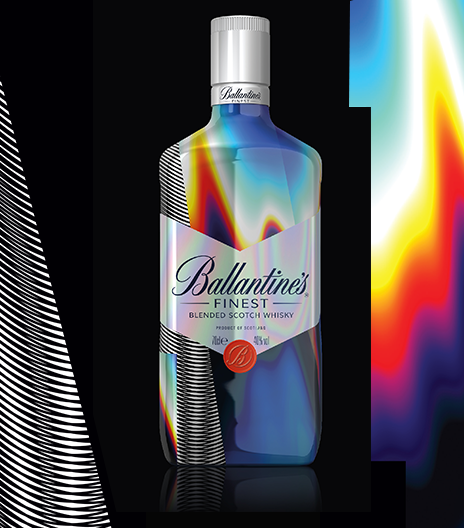 With distinctive geometric patterns, vivid colours and holograms, Felipe’s sleeve design includes multi-coloured arches, referencing Ballantine’s depth of flavour. These are layered against bold black and white stripes, emulating sound waves passing through the rich liquid. 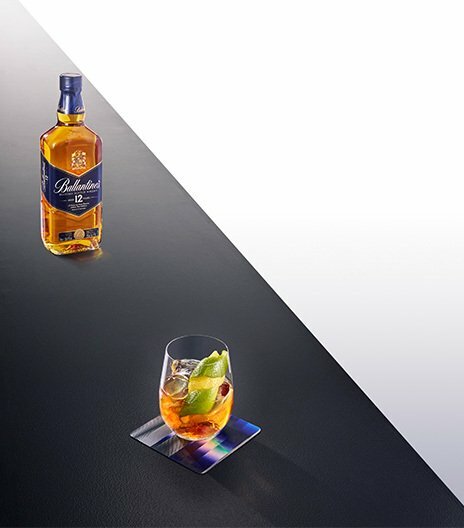 Mixologist Fredrick Olsson blends charcoal, lemonade and Ballantine’s Finest for a unique cocktail that’s stark in colour, but has hidden depths of flavour. 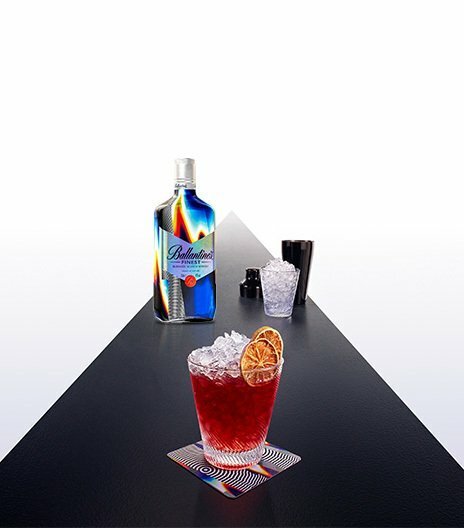 Named after the man himself, this cocktail is a fierce mix of Ballantine’s Finest, fresh lime juice, Agave and acai pulp. The result? A ruby red stunner that packs a punch. A twist on a classic, this cocktail combines Ballantine’s 12 Year Old, sweet Vermouth, fig liqueur, orange bitters and fresh lemon peel for modern masterpiece. 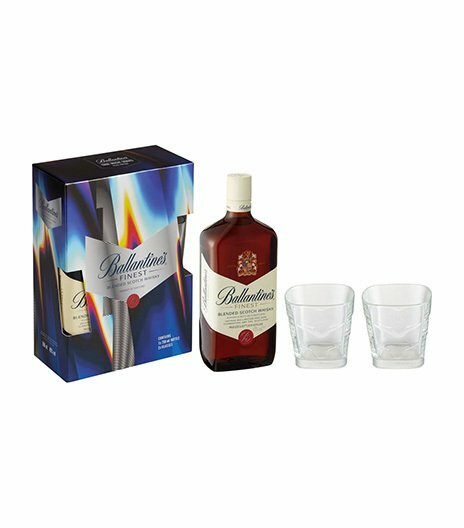 At Ballantine’s, mates come first. Get exclusive content, event invites and much more.